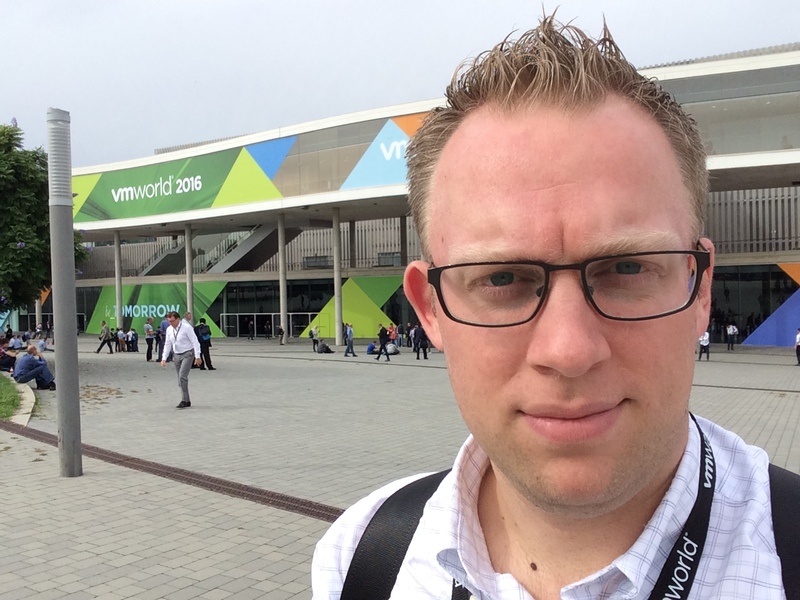 With this small journal I want to give you a little review of my first visit at VMworld Europe. I will try to update this post daily. Now I am there, what to do now? First step was to go to the registration, where I got my VMworld badge. I could use this badge to get my VMworld backpack. The first person who runs in me was Anthony :) While I was checking the infodesk he had seen me and welcomed me. Because monday is more a day for partners and TAM customers there are not many sessions for attendees to view. I visited the Airwatch Introduction and Horizon workshops. In these workshops you get an expert held HandsOnLab with questions and answers at the end. Tomorrow the Solution Exchange starts and many more sessions will be available. 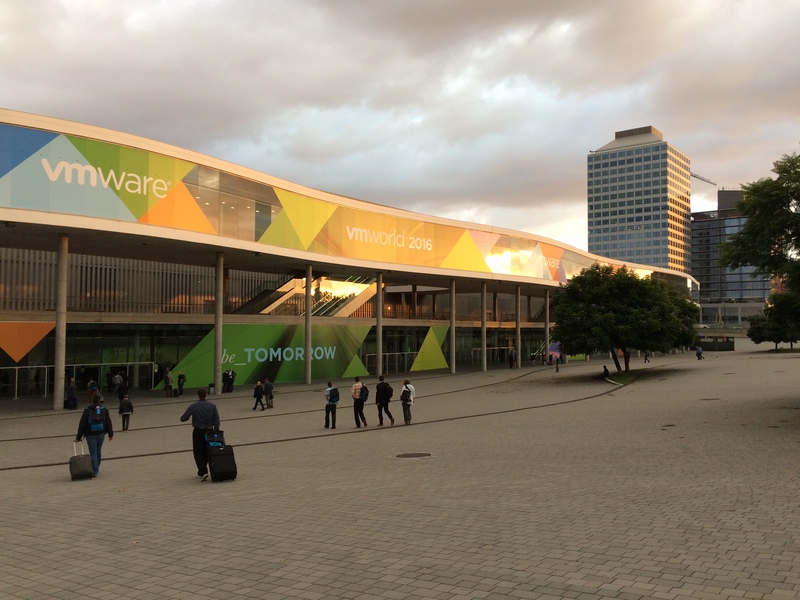 On tuesday the VMworld really starts with the General Session. Pat Gelsinger shows us whats next in VMware and where IT and the people will stand in several years. The count of running workloads in public or private clouds will extend in the next years. Maybe in the next decade there will be 50 / 50 of the workloads running in cloud and on premises. Ian Evans, Noah Wasmer and Sanjay Poonen shows what is possible with Workspace One and its components for Enterprise Mobility Management. Speaker of this very good session were Eric Gray and Salil Suri. They presented the new ability to run the VUM directly on the new VCSA. There is no need to run the VUM on a dedicated Windows Server anymore. The correct order of and how to install upgrades for vCenter, ESXi and additional components in the cluster were explained. Also the necessity of upgrading virtual hardware version were discussed. The speakers didn’t see the need to upgrade hardware, if you don’t need the new features it brings with it. If possible VMTools should be updated periodically but not always forced on all machines after upgrade. You have to always update VMTools before upgrading virtual hardware! The Q&A round after the session was very good. Eric will investigate a problem I’ve asked him, where an ESXi host could not be set in maintenance mode (MM) when a DRS rule sets one machine should run on one special ESXi host. The “normal” maintenance mode works but not the MM initiated by VUM. Hope that I can give an update in the next weeks. Bret Guarino shows us how to find bottlenecks or problems on an ESXi host with esxtop related on network or storage. He explained the functions of esxtop and everytime I see a demo of using esxtop I think that’s all new :) My advice to all of you: Use esxtop again and again. Try HandsOnLabs to get familiar with its functions. It is really powerful. Where the detect of a bottleneck at the network layer is a little easier, on disk it is much more complex. You have to watch the times an IO needs in the Kernel and from the physical adapter to the real storage system. There are several combinations and causes why a machine or host didn’t perform good. 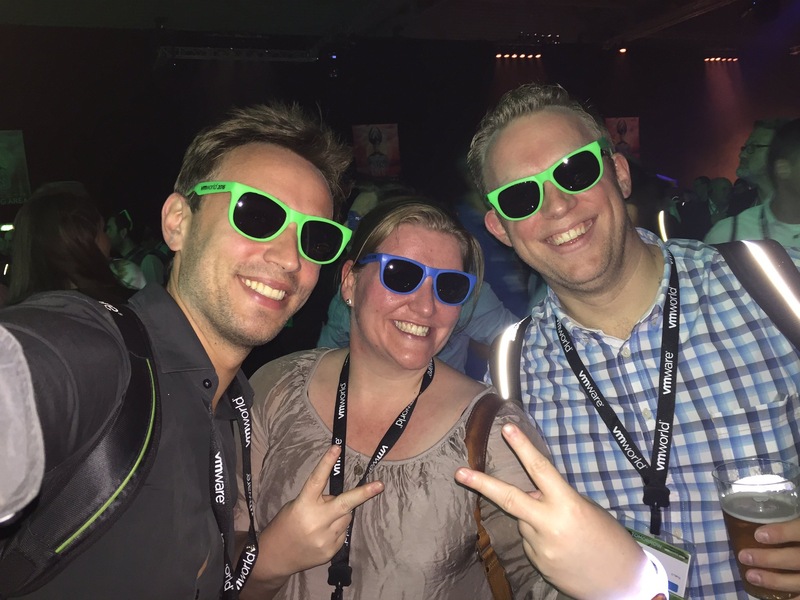 Marc Huppert gave us a review of the last VMworld in Las Vegas. After that he show us the possibilities of VMware NSX and VSAN based on his experiences from customer projects. Absolutely informational on a very good technical level. At evenning all vExperts were invited to a restaurant to met each other and get the chance to network and enjoy nice food and drinks. It was a very good evening and a long night :) Very cool to meet Corey in live. Thanks to all you are doing for the people of this community! The third VMworld day starts. After the General Session the Breakout Session began. The first session was led by Michael Corey and David Klee. They explained what configuration failures could be done by creating Monster VMs with Oracle oder Microsoft SQL Databases on them. Not only the more is better approach (putting vCPU or RAM to a VM without knowing why needed) but check the overall performance of the host is the key to get the Monster VM to run. Really two crazy guys with very good presentation style. Rob Girard and Denham Cherry showed the audience member what the different recovery models of Microsoft SQL Databases means and what an impact it could be when no backup would be made. They also explained how to configure a database, on which partitions store the data and log files files or how to configure the VM with its disk controllers and disks. Summarized a good session for Non-DBA which only supports the VMs and wanted to know a little bit more about Microsoft SQL. Eileen Linn, Program Manager of Inner Circle, invited all attending Inner Circle Members to a meeting with the executives of many programs from VMware. The members were asked which problems they see within their work, consulting of customers or whatever they do with VMware products. I think the executives sometimes were shocked what the members concerned of. But it was very constructive and on a friendly cooperatively level. I don’t know any other vendor which do those survey we answer periodical and react in the way this group does. A very cool experience. 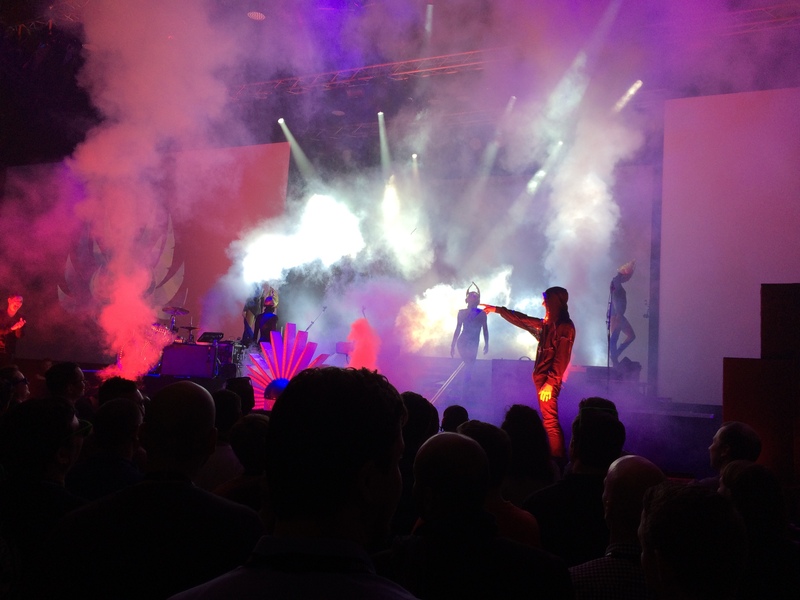 The biggest party of the VMworld was on today and Empire of the Sun was the TopAct. Our thoughts they only make easy listening music and they can’t rock the stage were wrong :) absolutely very good and a funny party which ends much to early at 10 PM. It is nearly over… :( On Thursday morning this was my first thought. The Deep Dive session focused on the new features of DRS within vSphere 6.5 and explained the technique behind. DRS will be more fine adjustable. Also DRS gets a function to predict when the cluster gets unbalanced. With data from vRealize DRS could move VMs away from one host before a predicted load begins. DRS now could be configured to react on IO sensitive VMs. These VMs will not be investigated with vMotion unless it is absolutely necessary. 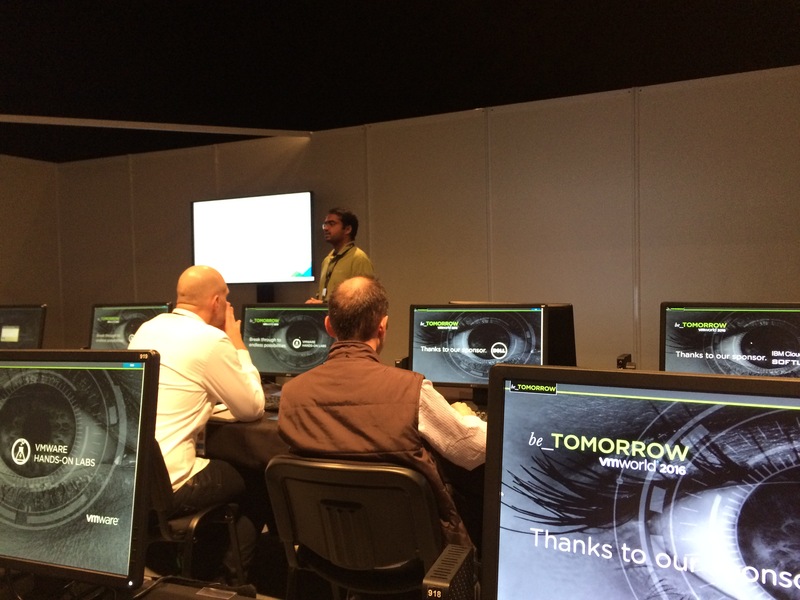 Adam Eckerle and Emad Younis explained how to configure the PSC after the significant changes comes in vSphere 6.5. They shows how to configure availability for the PSC and how to avoid to lose the whole PSC chain if one PSC goes down. VMware announced with version 6.5 the native HA for the VCSA. It works with one witness appliance and a second VCSA which is in passive standby. If the active VCSA fails it needs only a few minutes to get a working vCenter back. The Webclient will show that there is a failure and reloads automatically until the passive node gets the active one. After this two sessions I used the time to talk to some experts and other attendees in the Solution Exchange and the VMvillage. On afternoon I used the time to visit some spots in Barcelona. The last days there was not really time to see something else then the hotel, the metro or the Fira. So it was nice to see some of the spots of Barcelona. Weather was not as good I expected but ok. The last event before I leave Barcelona on Friday was the “After VMworlds meetup” with Christian, Fabian, Martin and Reinhard. 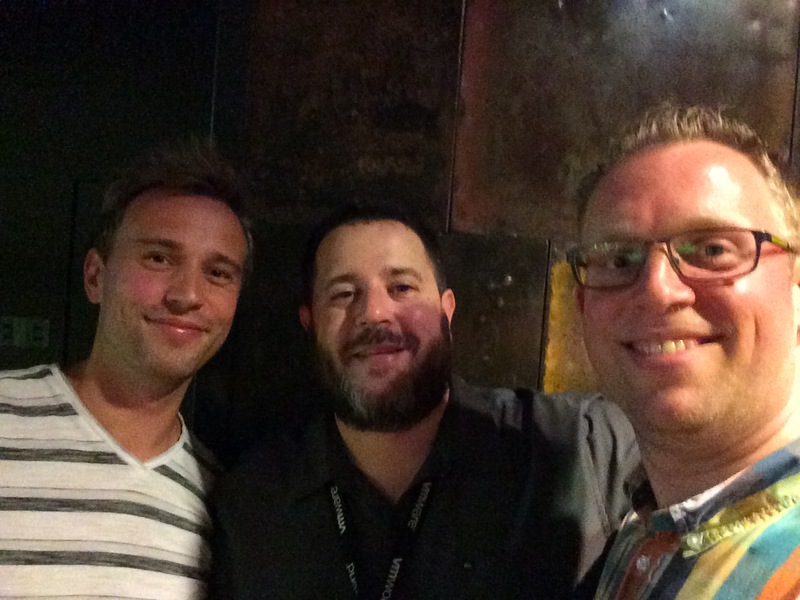 Last VMworld men standing. Finally it was a very hard week with tons of information. I’ve visit many sessions, most of them where good, but some of them were great. I think it is impossible to get answers from so many experts and pros together in a training, regardless it is a professional or advanced one. I’ve met and talk to so many people I didn’t guess before. The network grows :) The extra twilight sessions after the days on VMworld were also great. It wasn’t technical only things we talk. We’ve got some Deep Dives into Cinema and TV-Series. Great and also different positions on what is good or bad :) Thanks to all who attends. 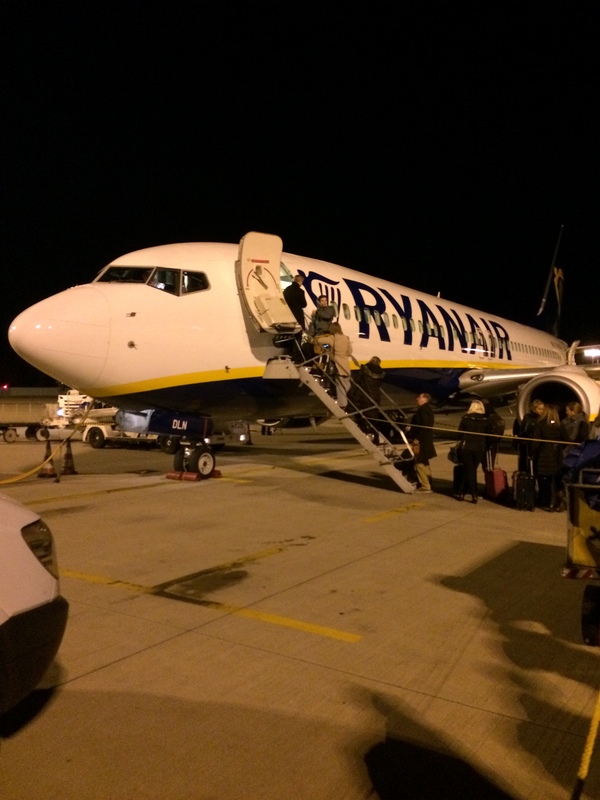 Have always hoped to get to VMworld Europe myself, and hope you enjoy Barcelona. Thanks for sharing your journey. I was in Barcelona briefly once a decade ago, and only got to check out the local sites for a few hours, it would sure be nice to get back there again.